This week, as part of The Alphabet City Festival 2007, I visited one of North America's largest and oldest food distribution depots. 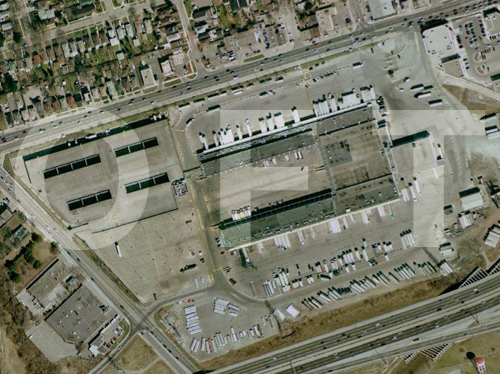 The Ontario Food Terminal is described as Canada's largest wholesale fruit and produce terminal yet this 40 acre site squeezed between the Gardiner Expressway and CN rail lines to the South and The Queensway to the North is barely noticed by most Torontonians. Despite its size and visibility, it may as well be as buried as Toronto's water and sewage system. Perhaps the analogy is apt as the OFT is the infrastructure that feeds most of Toronto and Southern Ontario. Anything you buy from a corner grocer in Toronto, passes through the terminal before it passes through you. One of the things that makes the OFT so successful and efficient is the location. Situated on the edge of both major rail lines and an expressway, sellers from all over Ontario, Canada and beyond (far beyond) deposit goods on the Toronto's doorstop, and buyers who pick up those goods have access to Canada's largest markets. That traffic in and out of the Terminal gives it the feeling of a small city within a city (in 2006, over 30,000 vehicles delivered 947,000 tons of produce). Forklifts and trucks weave through cold storage vaults, past stalls of berries, hot peppers, melons and squash 24 hours a day, 365 days of the year. When the OFT opened in 1954, it probably felt like it was in the sticks, out on the edge of a growing city. Now, 50 years later, the site is bounded by ever encroaching condominium towers to the South and an increasing retail sector on the North. Given that the City of Toronto is always eager to wipe out light industrial or commercial properties in favour of condo developments, it is surprising the OFT has lasted and prospered. Thankfully it has. "Anything you buy from a corner grocer in Toronto, passes through the terminal before it passes through you." Why is that so important? Simply, if a city is to prosper, it needs food. From another viewpoint, if we want to consider the idea of a sustainable city, then we have to maintain nearby agriculture and a way for those farmers to get their goods to the urban market. While a true 100 Mile Diet may not be the attainable for most Canadians, Ontarians can eat pretty well within provincial boundaries but only through a mechanism such as the Ontario Food Terminal. Throughout the summer, as I rode my bike to different Farmer's Markets I wondered why there couldn't be a St. Lawrence-type supermarket that showcased local produce. Unknown to me, someone was already doing it. Also, unknown to most city residents, Ontario farmers show up sometimes as early as 2AM at the Terminal's Farmer Market to get their produce off their trucks and into our mouths. "It calls back a time when there were flowers all over the Earth... and there were valleys. ... and there were things growing all over the place, not just in some domed enclosures blasted some millions of miles out in to space." Before I'd stepped a foot into the OFT, I'd been reading about the importance of crop diversity and the Svalbard Global Seed Vault in the New Yorker. The issue of hybrid seeds and the potentially damaging patents that Western chemical concerns have inflicted on growers of the world is as disheartening as the Food Terminal tour was uplifting. 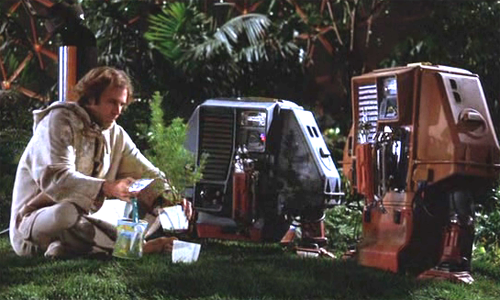 We can only hope the Svalbard vault, which has been nicknamed the Doomsday Vault won't have the same fate as Bruce Dern's space-borne arboretum in Silent Running whereby a renegade gardener commits murder and suicide to protect the Earth's last remaining forest. As of this Thanksgiving Monday, despite the record-setting 30+ temperatures, we can at least try to correct our eating/growing/consumption practices and give thanks that we have a buzzing, ever-active Food Terminal in our back yard. You can read more about the OFT and the Svalbard Seed Vault in the current issue of Alphabet City.